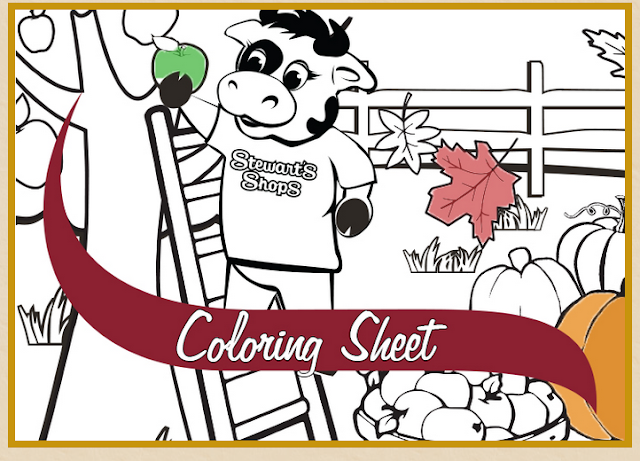 Stewart's: Complete a Coloring Sheet, Get a Cone! Kids can score a free single scoop cone they hand in a colored sheet to Stewart's Shops! You can pick up a fall coloring sheet at any shop, or print one out here.